International representatives of almost all user segments will gather at POWTECH from 9 to 11 April, when 825 exhibitors from 35 countries showcase their innovations and best practices in six halls. Trade visitors to this leading show can also look forward to numerous presentations in the exhibitor forums. For the first time, the event will feature the new Networking Campus, where start-ups, developers and young researchers will explore the markets and technologies of the future. 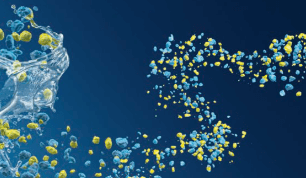 PARTEC, the renowned international congress on particle technology, is a fitting complement to POWTECH; this year it offers a high-quality programme on the theme “Particles for a better life”. 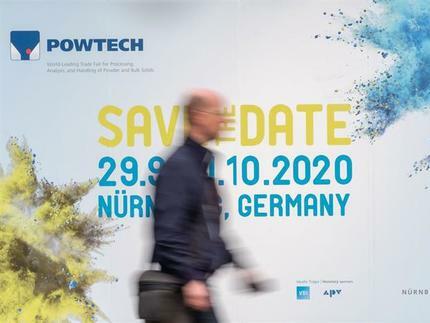 “In its scope and diversity, the pairing of POWTECH and PARTEC makes for an event that is not to be missed by industry representatives,” stresses Beate Fischer, Director of POWTECH and PARTEC. “The blend of exhibition, technical presentations and networking platform goes a long way towards helping participants successfully exploit future opportunities in the various segments and adapt to tomorrow’s trends.” The high quality of the event is not just reflected in the exhibitors but also in the first-class programme of the PARTEC Congress and the exhibitor presentations in the exhibition halls. Around 39 percent of exhibitors at this year’s POWTECH originate from outside Germany, with large contingents from Italy, Switzerland and the UK, but also the Netherlands, Austria, Denmark and China. Germany has the strongest showing with 500 exhibitors. PARTEC, the international congress for particle technology, takes place parallel to POWTECH once again this year. More than 500 delegates from 30 countries are expected to attend. The congress is chaired by Professor Stefan Heinrich, Director of the Institute of Solids Process Engineering and Particle Technology at the Technical University of Hamburg. Under the theme “Particles for a better life”, the congress will present the latest research findings that help improve many aspects of our everyday lives. One such example is a retard release coating for blood pressure tablets. Six high-calibre keynote speakers cover a wide range of topics and will focus on fields of application like additive manufacturing or CO2 reduction. The speakers provide new inspiration through their insights. As well as traditional areas of application, the congress will also explore cutting-edge technologies from the life sciences and energy and environmental technology. Congress visitors can look forward to other speakers from the USA, UK, Australia and Germany. The congress is sponsored by the VDI Association of Process and Chemical Engineering (GVC) and also receives support from numerous other associations and organisations. Another highlight of the event is the presentation of the Friedrich Löffler Prize by the VDI-GVC on 9 April during the official opening of PARTEC. This award recognises young experts from industry or the research community who have demonstrated particular merit in the fields of particle research, particle technology and product design. On the first day of the fair, the presentation of 180 research posters will be opened and discussed. The Networking Campus celebrates its premiere at this year’s POWTECH as an interactive think tank for “Generation Future”. This is where young scientists and entrepreneurs have the opportunity to present their innovations and discuss the technologies and markets of the future. In this context, the focus is on the link between disruptive technologies and process engineering. The Networking Campus features more than 30 presentations, 2 panel discussions and 17 exhibiting institutes, associations and start-ups. “This new communication-fostering format brings a breath of fresh air to POWTECH and encourages intensive professional dialogue between specialists,” says Beate Fischer. “In the case of digital transformation, virtual reality and energy storage it is important not just to listen but to brainstorm and contribute as well,” Fischer continues. The issue of recruiting also gets its fair share of attention. A Jobs Board, the Dechema/VDI-GVE ProcessNet Café and the Recruiting Day on the third day provide opportunities for networking between potential employees and employers. Ten companies will give corporate pitches to present themselves to potential job applicants. The adjacent interview corners can be used for preliminary conversations about new job opportunities. Explosion protection is high on the agenda at POWTECH. At guided tours, in daily live demonstrations under controlled conditions and in the forum programme, manufacturers showcase their solutions for avoiding accidents in production facilities. German and international developments in the areas of standardisation, research and technology in explosion protection are also covered. For visitors from the medicine manufacturing segment, the Pharma.Manufacturing.Excellence Forum in Hall 3, which has an English-language programme, is a major port of call. For the first time, the Forum will feature a table top display by manufacturers of pharmaceutical excipients. This means that the exhibition is complemented by scientific presentations on tablet manufacture, coating and continuous manufacturing as well as the guided tours held on the Thursday. The Forum is coordinated by the APV (International Association for Pharmaceutical Technology). The expert forum Chemicals & Food in Hall 2 puts the spotlight on dosing, explosion protection, compressed air supply and the handling of powders and bulk solids. Experts from the food sector will provide insights into Food Economy 4.0, food safety and pneumatic conveying. The same hall also accommodates the special show “Dust recognises boundaries – free trade doesn’t” organised by the VDMA Group Air Purification and Drying Technology. This is where specialists will share their expertise on efficient and safe processes for occupational and environmental safety.